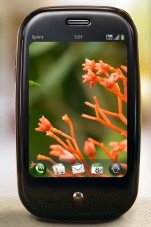 It’s now official: The Palm Pre will launch exclusively on Telefonica-owned O2 here in the UK. “In time for the holidays”, say Palm and O2, with no word yet on pricing. My guess is that we’re talking early October, enough time to ramp up for Christmas spending. Either way, it’s a pretty long time to wait, especially since O2 will have been busy pimping its other flagship exclusive. Apple’s newly launched iPhone 3GS. And then there’s the rest of the competition. See also: Who has the most to fear from Palm’s “New-ness”? Handsets already on the market in the UK that will/are to varying degrees going head-to-head with the Pre and iPhone include Nokia’s N97 (see my review), which is already getting its own TV and other advertising blitz, Vodafone’s Android debut, the HTC Magic (reviewed here), and Samsung’s HD video capable touch screen monster, the i8910 HD. But perhaps more significant are the growing number of handsets, announced or known to exist, that will debut closer to the Palm Pre’s UK release. First out of the gate is HTC’s newest Android phone, the Hero, with its Palm Pre-esque custom User Interface. We also know of Samsung’s Android-powered I7500 (another O2 offering), Sony Ericsson’s Satio (previously known as Idou), another touch screen device but one with a headline grabbing 12 megapixel camera. There’s also the expected BlackBerry Storm 2, Sony Ericsson’s own Android debut, and likely another flagship from Nokia. That’s one crowded smartphone market, and knowing the competitive nature of the mobile phone space here in the UK, most, if not all of these Palm Pre competitors will come highly subsidized (or made to look that way), with pricing closer to “free” with a 18-24 month contract.